We are proud to present a really exciting design collaboration today that we were working on intensively with the Norwigian crop nutrition company Yara over the last months - the N-tester Clip! 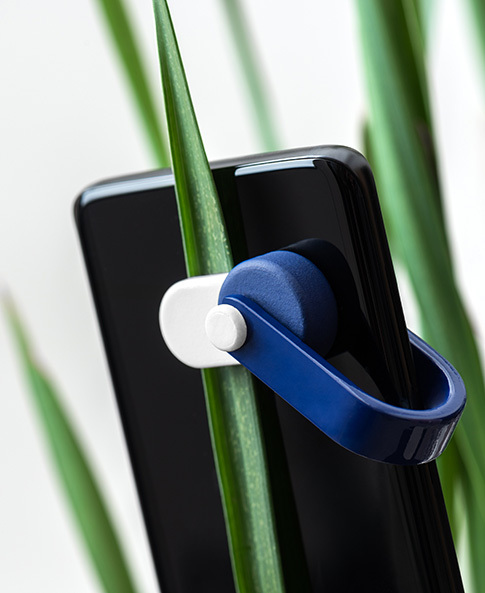 An optical clip for leaf chlorophyll measurements using a standard smartphone. The idea behind this product innovation in the field of digital marketing is developed by Yara and the first of its kind. Very happy to present our first collaboration with the furniture producer Nurus presenting the Noctus table light at Orgatec 2018 in Cologne. Looking back to a exciting jury session for the first PASSAGENPRIZE that has been awarded during imm Cologne 2018. I was very delighted to be part of the jury! Since January we are working in this charming backyard studio in Cologne. Very excited to be here after a decade in Bremen where I did my studies and started my career as independant product designer. Happy in London to win the 2nd prize of the SCHOTT CERAN® Design Awards 2017 with an old/new project THE COOKING TABLE II. Thank you, SCHOTT AG! Already excited to show my work for the first time in Milan at the Tortona Design Week during Salone del Mobile 2017. Thank you to the German Design Council for selecting my lighting project to be part of the EIN&ZWANZIG design show!